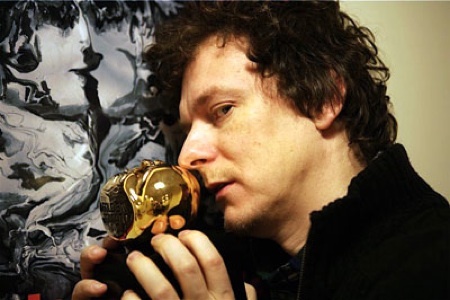 The Cinematical/SciFi Squad/Horror Squad team is on the ground at San Diego Comic Con and checking in with geniuses such as writer-director Michel Gondry. In the video after the jump, he raps about The Green Hornet with his son as a human beat-box. To be specific, he's rapping about the Green Hornet's car, Black Beauty, which Sony unveiled recently at Comic-Con. Truly bizarre. Plus he gives a short preview of the movie's opening scene ... and maybe the theme song? Head after the jump to watch the video, and you'll probably understand a little bit better why this guy was so qualified to direct "Eternal Sunshine of the Spotless Mind."